Hunting in Bulgaria. Caza en Bulgaria. Jagd in Bulgarien. Many hunters come to hunt in Bulgaria for several reasons. Because the nature, quality of trophies and also good services. They hunting in Bulgaria Red deers, Wild boars, Fallow deers, Mouflons, Chamois and even more. Therefore every year we getting trophies with good qualities and sizes, as a result of good selection and work. The hunters obtain Red deers above 230 CIC points, Wild boars above 125 CIC points, Chamois above 105 CIC points and also another as Mouflons above 210 CIC points, Fallow deer above 200 CIC points. Furthermore the Bow hunters are also welcome to hunt in Bulgaria. We certainly going to organise for you tree stand, hide ground and stalking hunt. For beginners and also non trophy hunters, we have very good areas for selective hunting in Bulgaria. There are good population of animals and the estimated bag per day and hunter are 3-5 animal. 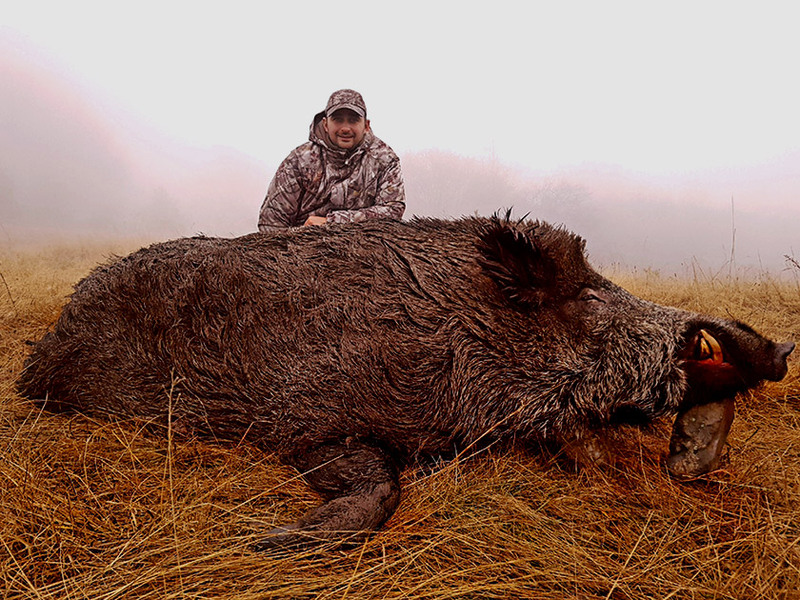 And finally for groups of 6 – 10 hunters we can arrange wild boar driven hunting in Bulgaria – free range or fence area.